The Friends of Charles Darwin's home town was Pharyngulated last night, when PZ Myers paid a visit to Hebden Bridge in West Yorkshire. PZ Myers talking at the Hebden Bridge Trades Club, 12-Aug-2014. The godless liberal, internationally renowned science blogger, and author of the Happy Atheist was in town at the invitation of the Friends of Charles Darwin and the Hebden Bridge Literary and Scientific Society to talk at the legendary Hebden Bridge Trades Club on ‘When Science Education Goes Wrong’. 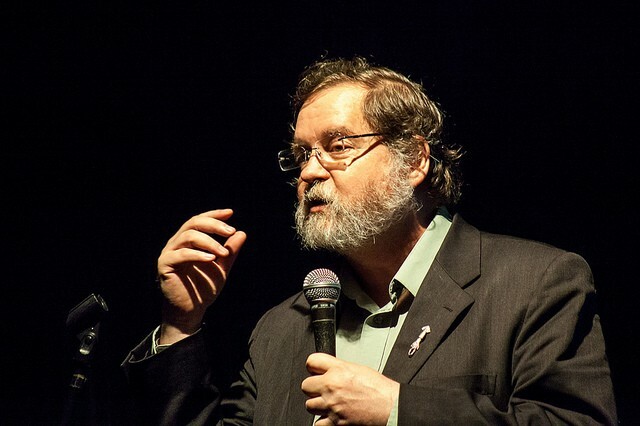 PZ Myers talking at the Hebden Bridge Trades Club, Aug 2014. PZ gave a typically entertaining talk, explaining how the creationism that plagues the USA and elsewhere today, far from being an ancient phenomenon, is a mid-20th-century American invention. He described creationists' often hopelessly inept attempts to pervert science, but went on to warn the audience of the dangers of letting them get away with it. The talk was followed by an insightful question and answer session, and a beer or two. PZ Myers, FCD, Maureen Brian, FCD, & Richard Carter, FCD. Hebden Bridge Trades Club, 12-Aug-2014. 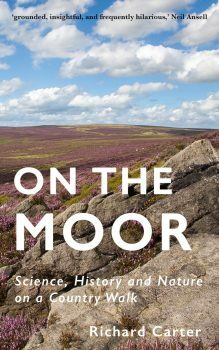 Thanks once again to Maureen Brian for seizing the opportunity of PZ's recent talk in Oxford to get him to come and visit more civilised parts. Earlier in the day, PZ visited a local example of his favourite kind of church.